123RF is one of the most popular stock photography agency and photographers can make a nice living by selling their stock photos on this microstock agency. Learn how here. make money selling your stock photography on one of the biggest microstock agencies! 123RF is one of the biggest and most popular stock photography sites or microstock agencies where you can buy and sell stock photos, vector graphics and video footage online. It's a great business opportunity for stock photographers who want to increase the exposure of their portfolio and make more money selling their stock photos and graphics online. 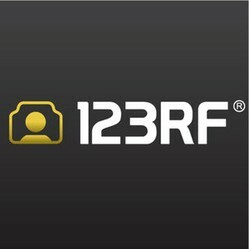 And in this article I want to present some main advantages of 123RF and invite you to join 123RF for free and increase your stock photography earnings. If you are not quite familiar with stock photography please read my article Sell photos online first to enter the beautiful world of stock photography. And be sure to also check out my list of best microstock agencies on Top 10 Stock Photography sites. So let's have a closer look on 123RF. I will present the agency in brief description and point out only the main key point so you could see that this microstock agency is definitely worth joining, I will present this awesome 123RF referral program, I will share some quick 123RF tips with you and share some really useful and interesting links that will help you to start making money with 123RF in no time! It's free to join 123RF as a photographer or designer and when you're a member you can upload your work and create your portfolio. Then you start selling your photos and graphics and you get 50% of earnings. 123RF pays on date and more photos you sell more money you get because the percentage increases when you reach some number of sold photos. Sign up with 123RF If you haven't already done so, sign up here! Upload Your Photos Log in. Next, click on Upload Image and upload your photos. Keep submitting photos to earn more! Remember to keep on uploading photos to 123RF. The more you upload, the more you'll earn! Click on Earnings to view your earnings! So how do you get paid? The payment plan is pretty simple because 123RF offers two possbible paying options for their customers. You can either buy a single photo with your credits or you can buy a subscription plan and buy a certain amount of photos each month. You can see below what this means for you if someone purchase your photo on 123RF. Sample Credit Download Calculation: A customer downloads a Ultra High Res ($3) version of your photo. You'll receive = $3 × 50% = $1.50 from that sale. Subscription Download Calculation: Straight and easy, you'll receive $0.36 per subscription download! Find more info and detailed information on their official guide Selling photos on 123RF. 123RF has one of the best referral programs among the stock photography sites online and you can refer photographers and customers. The deal is simple - you get 15% of the purchase or subscriptions from your referred customers and 10% of the earnings your referred photographers make. This can become a steady and easy income source after some time so it's worth working on because it can really increase your earnings on 123RF. And the earnings with referral program are added to your overall balance so you will get more money each month. 123RF referral tracking cookies last really long! If a customer comes from your link to 123RF and buys within 12 months, you'll be getting 15% referral commissions from 123RF.com for every subsequent purchase for another 12 months! When you start promoting your referral link you will get access to many cool banners and graphics that will help you to run a successful referral campaign and get some real referrals that will make you some real money. Below is my banner for preview. Every question asked about selling your stock photos on 123RF. Must read before joining the agency. Are you a member of 123RF? Yes, it's a great microstock agency! Not yet, but I will surely join! I prefer other stock photography sites. I have never looked into stock photo companies. Thanks for the info.